Dan Hills’ time at 1 with ‘Sometimes When We Touch’ was short lived. 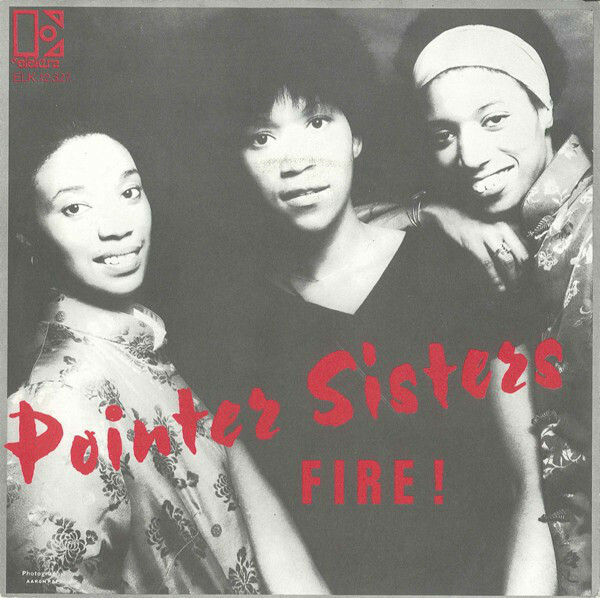 After just 1 week at the top, the previous number 1, The Pointer Sisters’ ‘Fire’ regained pole position. It became the 23rd song to regain the top position. ‘Sometimes When We Touch’ fell back into 2nd place. Abba moved into tied 2nd place for number of biggest climbers as ‘I Had A Dream’ gave them their 14th time with the award with a 7 place climb from 18 to 11. This equalled Neil Diamond’s total and was 2 behind overall leader Tom Jones on 16. It would be the only star rater this week. There was also only 1 faller of the week and that was Kiss’ ‘I Was Made For Lovin’ You’ which dropped 4 from 10 to 14. This was their first time with the award although band member Ace Frehley had picked it up twice with his solo hit, ‘New York Groove’. Anita Ward’s ‘Ring My Bell’ was the first of 2 songs to depart the chart this week. It had been with us for 13 weeks and peaked at 3. This would be her only SA chart entry. Also going was the oldest song on last week’s chart, Racey’s ‘Some Girls’. It was the 20th song to just miss out on getting to 20 weeks as it joined the 19 week club and was the 12th of those 20 that had made it to number 1. It spent 7 weeks at 1 which was the tied highest weeks at 1 for a song spending 19 weeks in total in the top 20. Carl Douglas’ ‘Kung Fu Fighting’ and Hilary’s ‘Sunglasses’ were the other 2 hits to manage this. Racey were still in the charts with ‘Boy Oh Boy’ which was at 3 this week. The new oldest on the charts was Joe Dolan’s ‘My Love’ which was on 17 weeks. ‘She’s in Love with You’ became Suzi Quatro’s 4th SA chart hit as it entered the charts at 18 this week. The song was written by Mike Chapman and Nicky Chinn, giving the pair their 23rd hit as song writers and they moved into tied second place for hits by song writers, joining Barry Gibb there and sitting 2 behind overall leader Terry Dempsey who was on 25. ‘She’s In Love With You’ was taken from the album ‘Suzi And Other Four Letter Words’ and would go to number 4 in both Austria and Belgium. Elsewhere it would make it to 6 in The Netherlands and Switzerland, 8 in Germany, 10 in Norway, 11 in the UK, 24 in New Zealand and 41 in the US. A German cover of the song called ‘Ich Wär’ So Gern Wie Du’ by Bernhard Brink would get to number 19 in Germany in 1980. Dionne Warwick set a new record for gaps between hits. It had been 606 weeks since she was last seen on the charts with ‘(Theme From) Valley of the Dolls’ which saw its last week in the top 20 on 22 March 1968. Her new one, ‘I ‘ll Never Love This Way Again’ was her second SA chart hit. It was written by Richard Kerr (who had co-written Barry Manilow’s ‘Mandy’) and Will Jennings and was produced by none other than Barry Manilow. It would get to number 5 in the US and 62 in the UK and would go on to win the Grammy Award for Best Female Pop Vocal Performance in 1980. This was the 5th winner of such an award to make our charts (previous 4 were 1968’s ‘Ode To Billie Joe’ by Bobbie Gentry, 1974’s ‘Killing Me Softly With His Song’ by Roberta Flack, 1975’s ‘I Honestly Love You’ by Olivia Newton-John and 1979’s ‘You Needed Me’ by Anne Murray). With both new entries being by solo women, this was the 18th time we had seen 2 new entries by female acts in the same week. We had not seen more than 2. This week was also the 17th time where only 1 act was seeing a new highest position in the chart. This week it was Jennifer Warnes who was 8, her highest placing to date. The last time we had seen only 1 act enjoying their best peak to date was 80 weeks back. There had been 4 times when no act had seen a new peak. Also, as both new entries were by American acts we saw a new record gap between the top 2 nations for number of hits with the Americans on 541 which was 39 more than the Brits who were on 502. Suzi Quatro was 10,744 days old on this day when her ‘She’s In Love With You’ made our charts, exactly the same age as Dave Edmunds was when ‘Born To Be With You’ made the top 20. This was the 25th time an act had been exactly the same age as another act when charting. Clout became the 91st act to reach 40 weeks in the charts and they were the 24th local act to manage this. Cliff Richard caught up with Neil Diamond on the weeks in the chart front. Both acts had seen 127 and sat tied 6th overall.